I normally don't write about a Democrat endorsing another Democrat (or a Republican endorsing a Republican) in an uncontested primary. But this case is a little different. 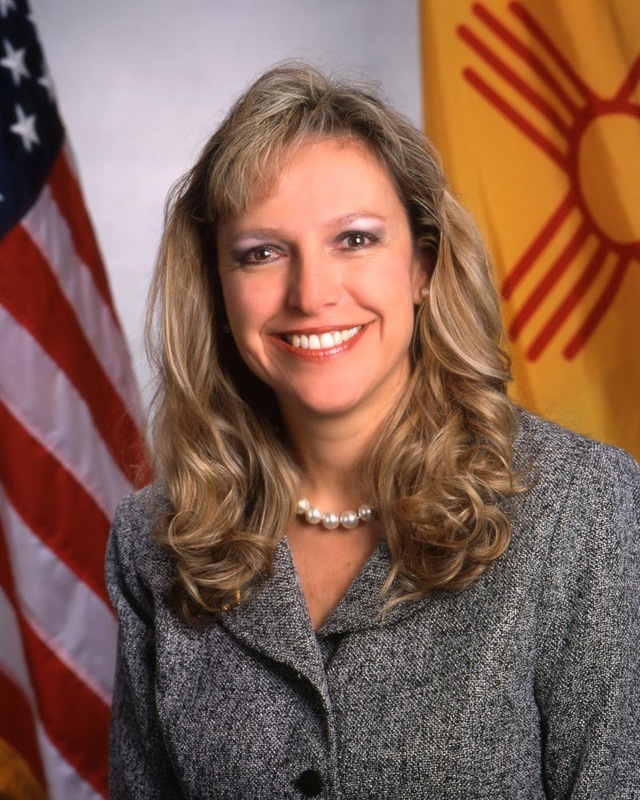 Four years ago, Democrat Valerie Espinoza, then Santa Fe County Clerk, endorsed Republican Dianna Duran for Secretary of State. Espinoza had been in a running battle with then Secretary of State Mary Herrera, a fellow Democrat. Espinoza was one of several Democratic county clerks to back Duran, who handily beat Herrera in the 2010 general election. "I have firsthand knowledge of how well Maggie is suited to become our next Secretary of State!," Espinoza said in her endorsement Thursday. "Whether she's conducting mock elections or informing and training the electorate, she's also a true pioneer in the adoption of Vote Centers in Bernalillo County. I continue to admire her devotion, skills and especially her ability to recite the Election Code to whomever her audience." Her statement actually goes on longer, but Espinoza never mentioned Duran.